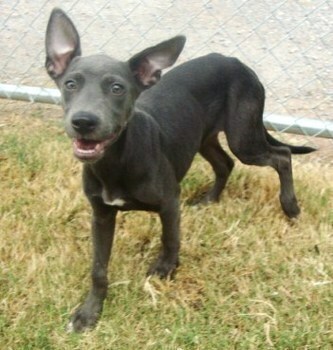 Kindle is a 3 month old female Weimaraner/ Whippet mix. Kindle was a stray that we ended up rescuing from the shelter. 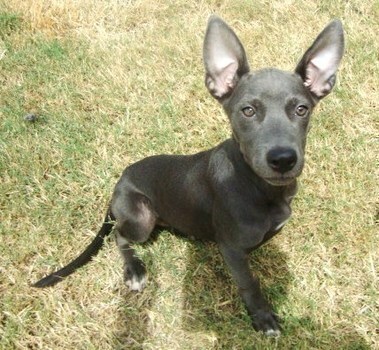 Kindle has the most beautiful blue color to her, and we are sure that Kindle is going to be a medium to large dog. Kindle is a very sweet girl that loves to be held and cuddled with. She is currently in foster care and is doing great, she currently lives with 2 other adult pit bulls, and two children, and is doing wonderfully. 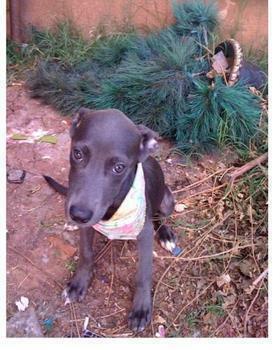 Kindle loves to play with other dogs, and gets along with children very well. She comes crate trained, and is working on being house broken which is going good in her foster home. Kindle is very accepting of everyone she meets and has so much personality to show off. Kindle comes spayed, up to date on shots, micro chipped, and current on heartworm preventative. Kindle is looking for her forever home so if one is interested in adopting this beautiful puppy please fill out an application above. KINDLE’S ADOPTION FEE: $100.00 Reviewed & Updated on 08-11-2010 Kindle is exclusively fed Natural Balance Ultra Premium Dog Food!